The EUR/USD currency pair continues moving downwards, however, I still don’t recommend to sell it from the current levels. 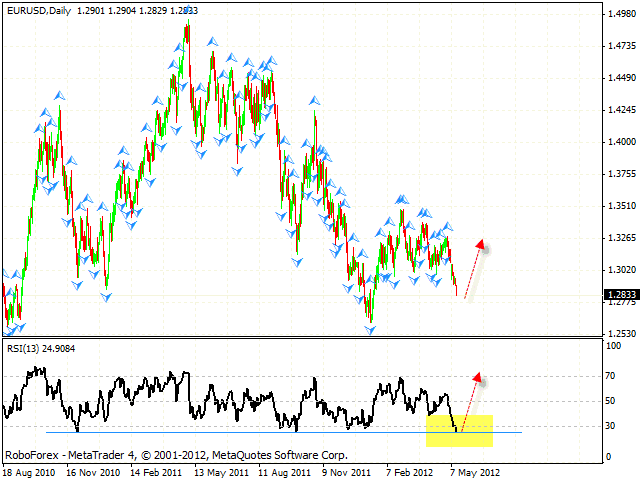 At the daily chart the RSI indicator is testing the support line, we should expect it to rebound upwards. Also we can see that the price has reached all the targets of the descending mirror pattern. The best scenario is to wait until the price forms reversal patterns at shorter time frames and then try to buy the pair. Analyzing the mirror structure we can see that the targets of the growth are in the area of 1.3350. We recommend to stay out of the market for a while. 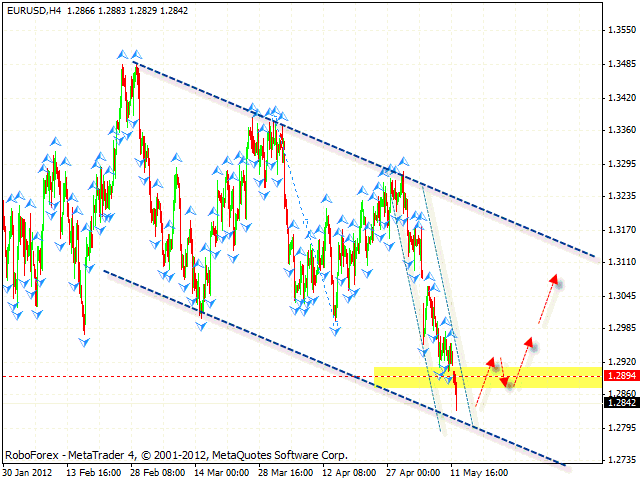 The GBP/USD currency pair continues moving inside the ascending channel. 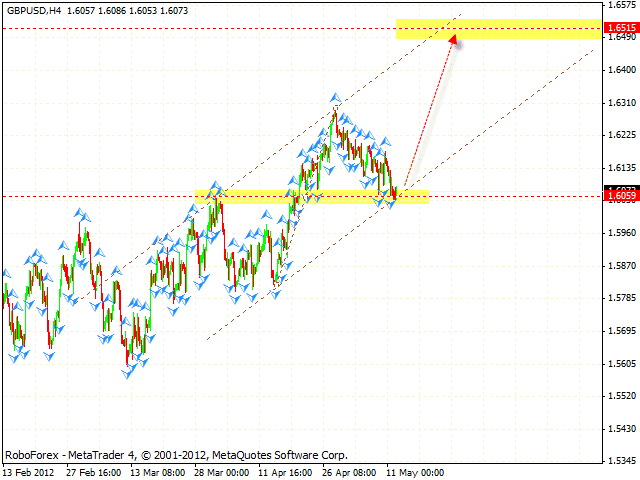 The price tested the area of 1.6050, however, the pair didn’t continue moving downwards. One can consider buying Pound with the tight stop from the current levels. The stop must be placed below 1.6045. The target of the ascending pattern is the area of 1.65. If the price falls down a lot from the current levels, this scenario will be cancelled. 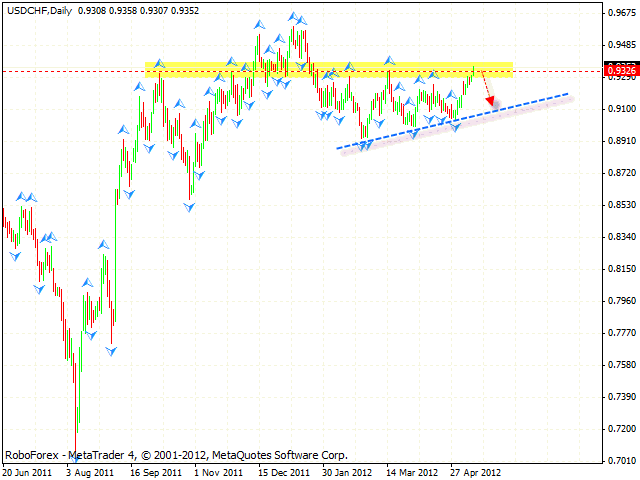 The USD/CHF currency pair is still testing the resistance level of 0.93. 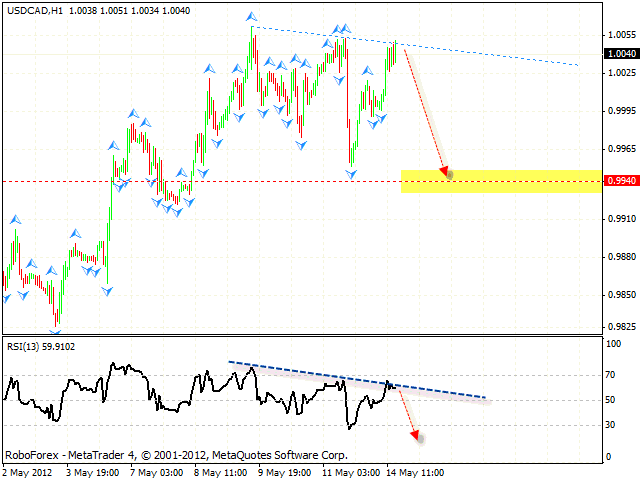 At the H4 chart we can see the formation of reversal divergences. We don’t recommend to buy the pair from the current levels. The best scenario is the same as with the EUR/USD pair: to wait until the price forms reversal patterns at shorter time frames and then try to sell Franc with the tight stop. A very interesting situation we have here. The USD/RUR currency pair is moving inside the descending channel and forming the mirror pattern with the target in the area of 28.20. 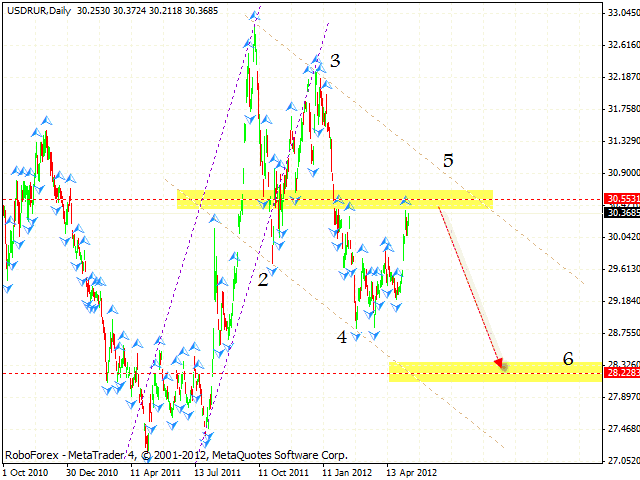 We should expect the pair to grow up towards the area of 31, where one can consider selling it with the tight stop. If the price grows up higher than 31.70, this scenario will be cancelled. After falling down, Canadian Dollar tried to test the local maximums. Currently the price is forming the descending pattern with the target in the area of 0.9945. One can consider opening short positions from the current levels, the stop must be placed above 1.0055. The test of the trend’s descending line at the RSI is an additional signal to sell the pair. If the price breaks the resistance level, Canadian Dollar will continue moving upwards.